Taking your clothing to the dry cleaners to be pressed can get expensive after a while. So if you’re on a budget, you may wonder how to use a steam iron to get the same results as the professionals do, who probably use a dry iron. Well, to first see why the dry cleaners have a leg up on the rest of us, let’s look at the difference between a steam iron and dry iron. 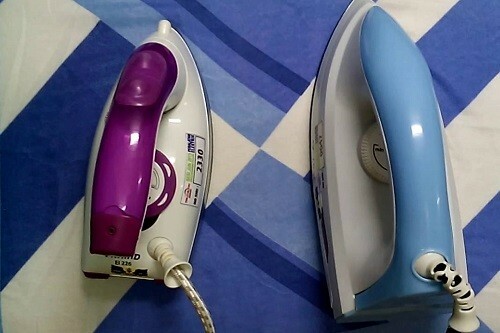 Dry irons are hard to find now-a-days. These irons do not create any steam (which is important to get out the wrinkles) and you’ll either need a dampened pressing cloth in between the iron and the item you want to iron, use a spray bottle, or make sure the garment is a little damp. 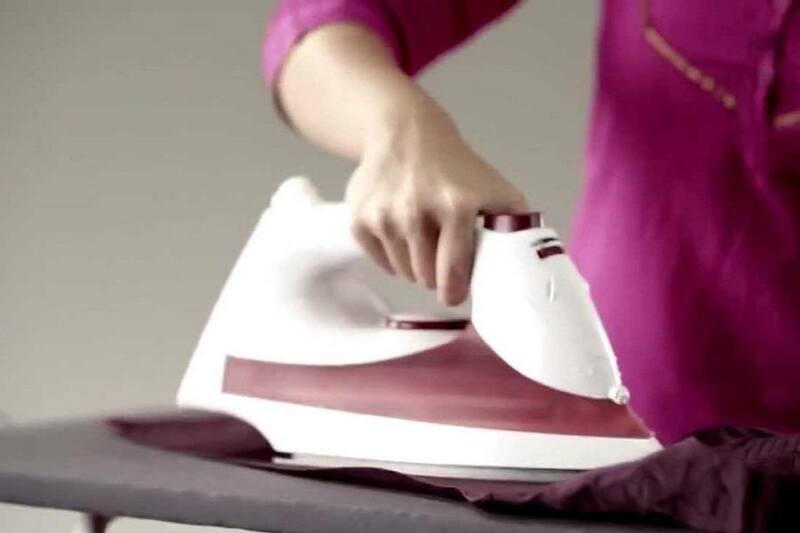 Also, with a dry iron, you’ll have to hold the iron in place, instead of simply gliding it over the wrinkled area. A steam iron, as the name would imply, creates its own steam, thus streamlining the ironing experience. With a steam iron, you can focus on an area of clothing and direct the steam to the problem creases without needing an extra spray bottle for added moisture. Of course, as we mentioned, a dry iron is difficult to find anymore and these tips we’re going to share with you are with a steam iron in mind. Now that you know the difference between irons, let’s get started with these tips and tricks, shall we? 1. Sort your clothing according to the recommended temperature the clothing should be ironed at. If you’re ironing a silk shirt, you will want follow the same method of how to iron a shirt, except you will want to make sure the temperature stays around 350 degrees. 2. You may have been taught that when you are ironing, you should move in circular motions. However, the real way you should iron fabrics is by going in an up and down motion. Going in a circular motion will cause your fabrics to stretch out. 3. 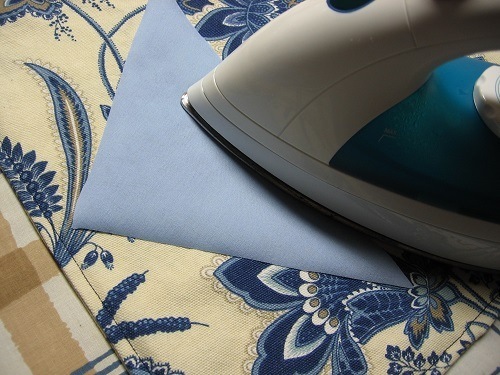 If you want to know how to iron a sheet and not get any wrinkles, you should have a chair or something at the end of your ironing board so that part of the sheet you just worked on doesn’t get wrinkled as you go continue ironing the rest of the sheet. 4. When you’re ironing clothes that are made from a delicate fabric, always use a pressing cloth to protect the material. This could be an actual pressing cloth or it could be a handkerchief or a terrycloth towel (make sure you use a white towel so that the colors do not bleed onto your garment). 5. Hang your freshly pressed garments up right after you iron them so that they don’t get wrinkled again. 6. When you’re ironing clothes that have stubborn creases in them, add one part white vinegar to one part water in a spray bottle. Spray the mixture on your garment and then run your iron over that spot. It will remove stubborn creases, even ones that you accidentally ironed in the garment yourself! Other great uses for the ﻿vinegar﻿/water solution is to spray it on those shiny spots that sometimes happens with a hot iron and you can also apply the solution to the collars and underarm areas of a garment to prevent the cloth from becoming yellowed. 7. Reduce your ironing time by covering your ironing board with aluminum foil and then put the ironing board cover over top. The foil will reflect the heat from the iron and you’re essentially ironing the article of clothing from both sides. 8. If you’re wondering how to iron pants that are pretty thick, you can iron the pant leg on the inside and then iron the outside. It may be a hassle to get in the pant leg, but this method will help you get those stubborn wrinkles out of the extra-thick fabric. 9. If you are ironing a garment with pleats, use paperclips to get those crisp lines that a pleated garment is known for. Just be sure not to iron over the clip, as it could leave an indentation of the paperclip in the garment, or worse, it could burn the garment. 10. Always use an ironing board! Though a flat surface with an ironing mat will do in a pinch, but an ironing board is specifically designed to be a table for ironing clothes. These tables use a material that is flame retardant and it is breathable so that any steam can escape from under the garment you’re ironing. When you’re ironing, it’s always important that you are mindful of the recommended temperature for the fabric that you are ironing. Many irons have a temperature setting knob that you can turn the dial to that temperature. These settings are important to use as you attempt to do delicate cloth ironing. Ironing clothes isn’t the most glamorous chores to do—in fact it can be quite dull. However, these tips and tricks should be able to expedite the process. Of course, if you get bored while ironing, you can also have some music playing or the television on your favorite television show. 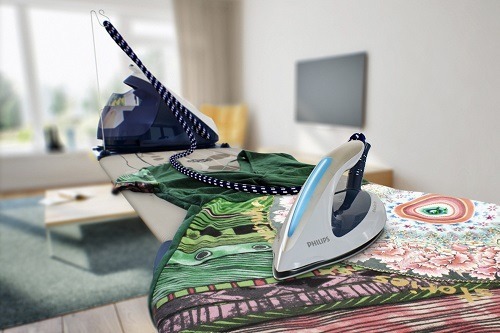 For many people, ironing is the perfect time to catch up on their favorite programs!